Kotka is a city and municipality of Finland.Kotka is located on the coast of the Gulf of Finland at the mouth of Kymi River and it is part of the Kymenlaakso region in southern Finland. Kick off your visit on the 3rd (Sat): enjoy the sand and surf at Beach Mansikkalahti, wander the streets of Linden Esplanade, then contemplate in the serene atmosphere at Kotka Church, and finally trek along Santalahti Nature Trail. To see more things to do, ratings, other places to visit, and tourist information, read our Kotka road trip app . Columbus, USA to Kotka is an approximately 17.5-hour flight. The time zone difference when traveling from Columbus to Kotka is 7 hours. Expect a bit cooler temperatures when traveling from Columbus in August; daily highs in Kotka reach 68°F and lows reach 53°F. 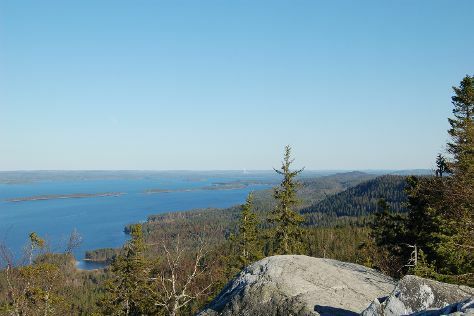 Wrap up your sightseeing on the 3rd (Sat) early enough to travel to Koli National Park. Start off your visit on the 4th (Sun): take in the dramatic natural features at Uhrihalkeama, tour the pleasant surroundings at Akka-Koli Hill, and then tour the pleasant surroundings at Paha-Koli Hill. 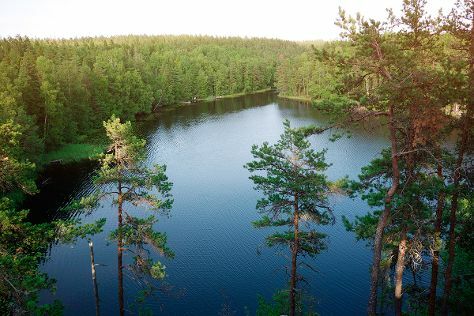 On the next day, explore the activities along Pielinen, trek along Ukko-Koli Hill, and then explore the striking landscape of Kolinuuron kierros Nature Trail. To see reviews, ratings, photos, and other tourist information, refer to the Koli National Park route website . Traveling by car from Kotka to Koli National Park takes 5 hours. Alternatively, you can fly. In August, daytime highs in Koli National Park are 67°F, while nighttime lows are 52°F. Wrap up your sightseeing on the 5th (Mon) early enough to travel to Pori. Pori is a city and municipality on the west coast of Finland. 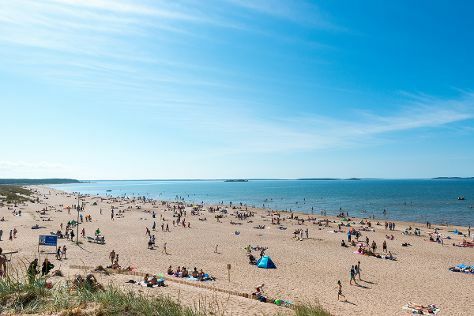 Kick off your visit on the 6th (Tue): take in the architecture and atmosphere at Central Pori Church (Keski-Porin kirkko), then enjoy the sand and surf at Herrainpaivat Beach, and then kick back and relax at Yyteri Beach. To find maps, other places to visit, more things to do, and other tourist information, read our Pori trip maker tool . Traveling by car from Koli National Park to Pori takes 7.5 hours. Alternatively, you can fly. In August, daytime highs in Pori are 67°F, while nighttime lows are 51°F. Finish your sightseeing early on the 6th (Tue) so you can drive to Tampere. Kick off your visit on the 7th (Wed): contemplate in the serene atmosphere at Tampere Cathedral, then kick back and relax at Rauhaniemi Beach, and then tour the pleasant surroundings at Riihiniemen Uimaranta. To find more things to do, reviews, photos, and other tourist information, read our Tampere road trip website . Drive from Pori to Tampere in 1.5 hours. Alternatively, you can take a train; or take a bus. In August in Tampere, expect temperatures between 68°F during the day and 50°F at night. Cap off your sightseeing on the 7th (Wed) early enough to catch the train to Helsinki. Step out of the city life by going to Nuuksio National Park and Korkeasaari Zoo. Get a sense of the local culture at Sea Fortress Suomenlinna and Katajanokka. There's lots more to do: admire the landmark architecture of Rock Church, take in the spiritual surroundings of Uspenskin Cathedral (Uspenskin Katedraali), take a stroll through Ullanlinna, and get engrossed in the history at Seurasaari Island and Open-Air Museum. For maps, where to stay, other places to visit, and other tourist information, go to the Helsinki trip planner . You can take a train from Tampere to Helsinki in 2 hours. Other options are to drive; or fly. In August, daily temperatures in Helsinki can reach 69°F, while at night they dip to 53°F. On the 11th (Sun), wrap the sightseeing up by early afternoon so you can travel back home.